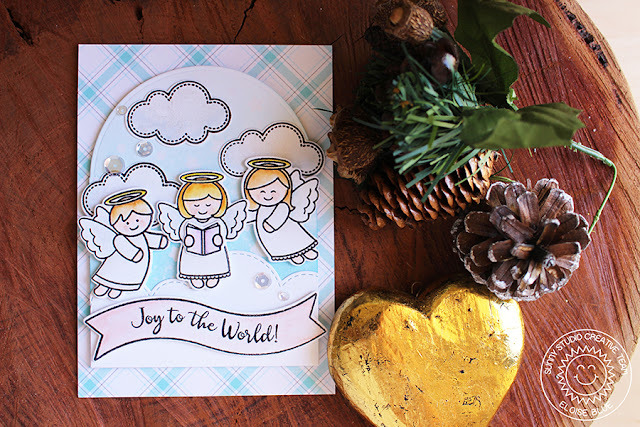 Hi everyone, I'm back on the Sunny Studio blog today and I'm gonna be making this soft, pastel angels card. Make sure you stop by the blog to see how I made it! This is just sweet and the plaid background is awesome on this card.